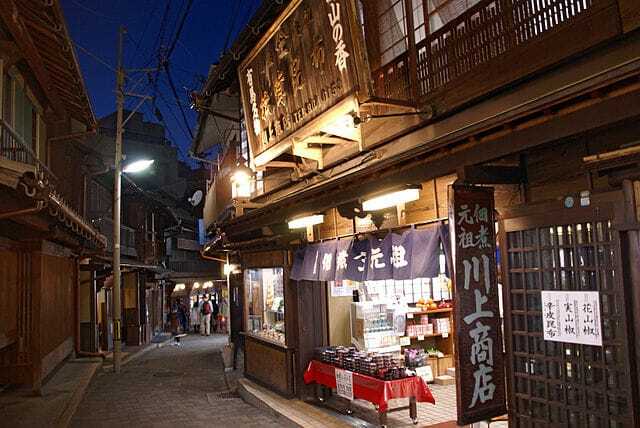 Arima Onsen is a hot springs town; a hidden treasure within the city limits of Kobe behind Mount Rokko. With cherry blossoms in spring, fireflies in summer, vibrantly colored leaves in autumn, and blankets of snow in winter, the natural scenery of the surrounding area is breathtaking all year round. Arima Onsen is the one of Japan's oldest hot springs, with Dogo Onsen in Ehime Prefecture and Shirahama Onsen in Wakayama Prefecture. 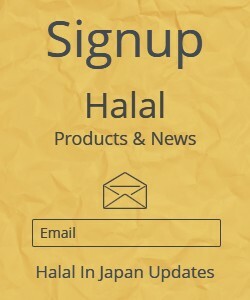 It attracts many Japanese who want tranquility with beautiful natural surroundings and yet easy access from the busy cities in the Kansai metropolitan area including Osaka. 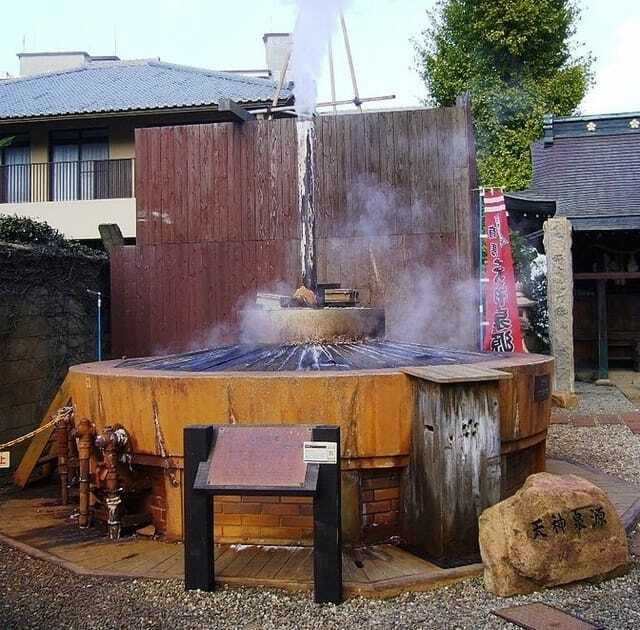 The town has two types of hot spring waters. One is Kinsen "gold water", which the water is colored yellow-brown with iron deposits and is said to be good for skin ailments and muscle pain. ​The other is clear Ginsen "silver water", containing radium and carbonate and is said to cure various muscle and joint ailments. 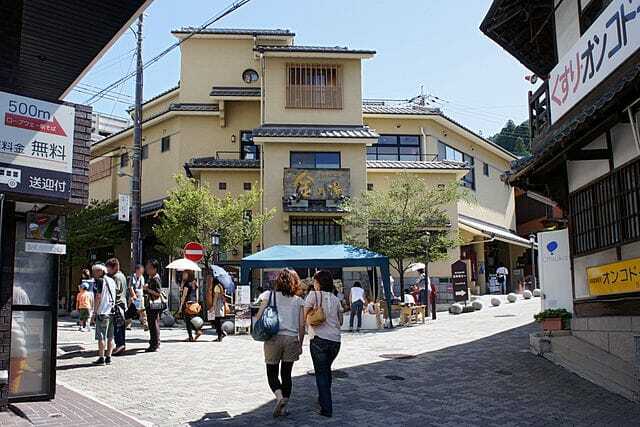 Like many hot spring towns, Arima is also home to a couple of public spas and many ryokan offering great hot spring experiences. Several ryokan open their baths also to non-staying visitors during the day. If you don’t have time to go to hot spring you can try one of the foot baths outside. You can rest your feet there with your clothes on in the middle of the city. The admission fee for a daytrip visit to a bath typically ranges between 500 and 2500 yen. By Train - From Sannomiya or Shin-Kobe Station, take the subway to Tanigami Station "takes about 10-15 minutes". Then, take the Shintetsu Arima-Sanda Line to Arima-guchi and transfer to the Arima Line to Arima Onsen Station "takes about 20 minutes". 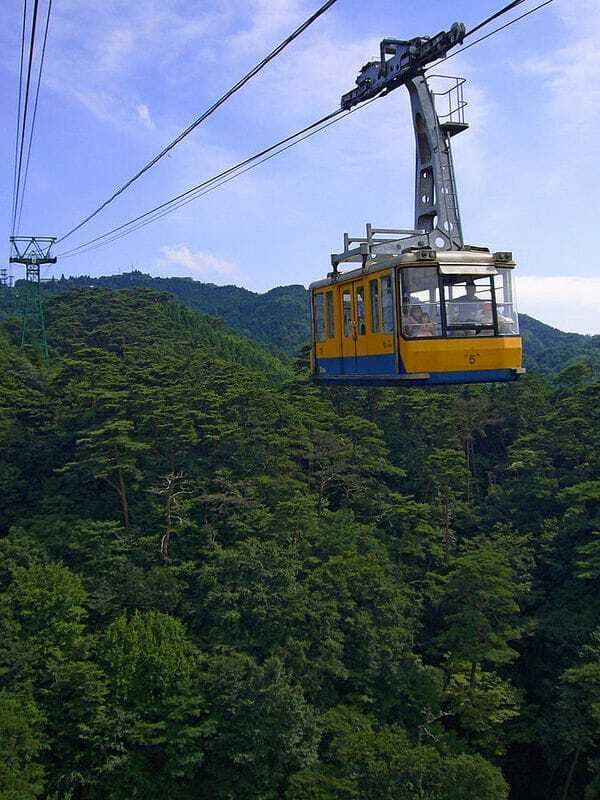 By Cablecar & Ropeway Via Mount Rokko - From Sannomiya Station, take the Hankyu Kobe Line to Rokko Station "takes about 7 minutes". Take the Bus No. 16 to the base station of the Rokko Cablecar "takes about 10 minutes". The same bus can also be boarded at JR Rokkomichi Station "takes about 15 minutes" or Hanshin Mikage Station "takes about 25 minutes". The Cablecar ride up the mountain takes about 10 minutes. From the top station, take the circular bus line to the top station of the Rokko Arima Ropeway "takes about 10 minutes", which brings you down to Arima Onsen "takes about 12 minutes". 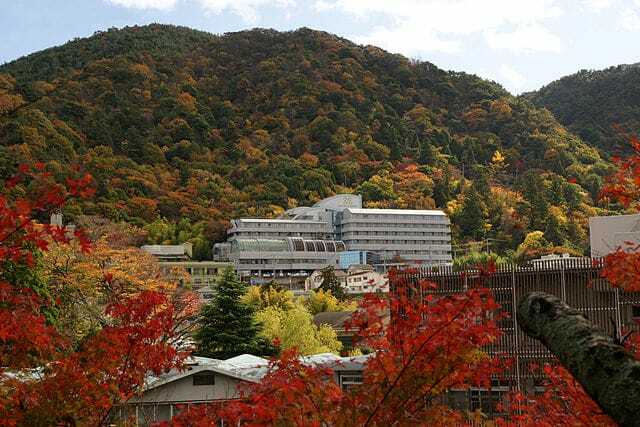 If you access Arima Onsen via Mount Rokko, you can save some money by using the "Rokko Arima Katamichi Joshaken" ticket, which includes a one way ride on the cablecar plus ropeway, and also lets you ride around the top of Mount Rokko. By Bus From Kobe – Hankyu Bus and Shinki Bus operate local buses from Sannomiya Station "takes about 50 minutes", via Shin-Kobe Station "takes about 35 minutes" to Arima Onsen. West JR Bus operates about seven highway buses per day from Shin-Kobe Station "takes about 50 minutes", via Sannomiya Station "takes about 30 minutes" to Arima Onsen. By Bus From Osaka - Hankyu Bus and West JR Bus operate Highway Buses from Hankyu Umeda Station or JR Osaka Station "takes about 60 minutes", via Shin-Osaka Station "takes about 50 minutes", to Arima Onsen. To enjoy exploring the city visit Tourist Information Center and pick up a guidebook.